Amavasya or New Moon day is the last day of the moon when it is in its waning phase and is invisible to the human eye. Aadi is the name of a month in Tamil that begins on a date in mid July and ends mid August. It is said that during Aadi amavasya the Sun moves towards the South called Dakshinayana. This is the first new moon day during this time and therefore very powerful and auspicious. In Vedic literature, Manusmriti says that of the five important rites that ought to be performed by a householder, Pitru Yagna or worship of ancestors is one of the most important duties. Garuda Purana says that Shraddha is so significant in one’s life that those who fail to carry out this for their pitrus could witness downfall. The ancient text also mentions that Pitrus live in Pitru loka or Soma loka which is near the Moon. Pitru Tarpanam is performed by a person who has lost his father. On the day of Amavasya, offerings of sesame seeds and water makes ancestors happy and they bless their descendants with a prosperous life and ensure their well-being. These oblations are offered to three generations of ancestors both from the maternal and paternal side. The deities for pitrus are Vasu, Rudra and Aditya and invoking them by chanting mantras so that food reaches the ancestors. The deities transport the food called ‘swadha’ to pitrus which is accepted with great satisfaction and pride. But why should we worship them even after they have left us? Well, we may find ourselves in very difficult and trying situations that cause a great deal of misery. This is because of bad karmic effects that our ancestors have given us by way of soul genes. To put an end to all the chaos in our lives, we should respect and pay our tributes to ancestors through tarpanams and shraddhas. Rameswaram is one of the pilgrim centres of India visited by people in large numbers. It is very auspicious and sacred place for performing pitru tarpanams. Lord Rama performed shraddha for his father King Dasaratha and Surya dynasty ancestors at this very place. Therefore, performing tharpanam here on Amavasya day is considered special. This is a Mukthi Kshetram (salvation temple). Also, it is vital for each and every individual to worship their ancestors to progress in their lives. 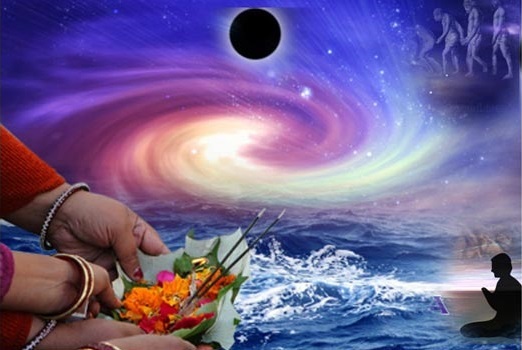 Performing Amavasya Tharpanam for them will change your destiny and create miracles in life. During Aadi Amavasai the moon and sun are in Pushya (a star ruled by Saturn) which comes together in Cancer making it a propitious time to perform ancestral rituals. This day eventually makes spirits more willing to be pleased and honoured. This ritual destroys all curses and effects of sorcery. It clears all the chaos of your life and brings success to you in all endeavours. It promotes happiness in your life and brings success in all stages of your life. Perform this ritual for your ancestors, please them and receive their blessings to have a happy and a peaceful life with prosperity. Perform Amavasya Tharpanam to them on that day to attain significant improvements in all walks of life. • It bestows blessings of fame and success in personal and professional life. • Pitru Tarpanam to ancestors bestows longevity and happiness in all tasks undertaken by you. • Conducting tharpanam to ancestors frees you of debts and financial burdens. • The Amavasya Tarpanam to ancestors grants tranquillity, prosperity, brings good fortune and luck. • The offerings to the departed souls helps alleviate sufferings, gives nonstop success and also happy and healthy life. Mail us your Paternal and Maternal ancestors details to support@templefolks.com or mention in the comment box.